We have a tendency to think back over the year around the New Year. At the Garden it happens more often during the year as we update readers of our newsletter and make announcements to our volunteers. An overview of the year is always a positive at the garden because we tend to have so many things happen and people that we meet that some can get lost in the months that followed. To recap some of those events that consumed our time and energy we will remind you as follows. The year started with an opportunity to capture “ice plants” on our cameras. Pokémon continued to insist that the Garden was a prime destination. Trees were donated by J, Frank Schmidt and Son Nursery not once but two times during the year. Permanent wifi was installed in the Resource Center and the Garden. Additional outdoor lighting for the bridge and beyond was provided to the Garden by Kichler Lighting. Aesthetic pruning became a monthly program for those interested in the “Art” with two visits to our Garden this year. Classes were set up for Tia Chi each Tuesday and Thursday near the Garden. Bonsai classes were set up and scheduled to start in January of 2018. A projector and movie screen were purchased with donations so presentations can be made in the Resource Center. Thirteen garden presentations and/or personal tours were provided during the year for garden clubs and supporters. New Giboshi were made for the bridge and installed before the 2017 Skosh Festival. The Ebetsu Plaza project was announced with City approval. Preparations for a paver engraving fundraiser began. A special poem was written for the garden by Kazumi Heshiki and it was engraved on a stone for placement by the azumaya. New lattice was milled out of the old bridge wood and installed at the Garden for the azumaya. A “crane” that had been created as metal art was donated by citizens from the community and associated with the museum. A partnership with Rotary and Tsuru Island volunteers was formed to refurbish the campus at the history museum and campus. The “Garden Endowment” was established for the continued fostering of the Garden for the next 75 years. The “Ebetsu Plaza” project was presented to the delegation from Ebetsu by Mayor Bemis along with a tree planting. Tsuru Island joined the Chamber of Commerce and the Japanese American Citizens League. The Gresham Japanese Garden applied to the NAJGA presentation committee for the fall of 2018 conference to be held in Portland. Main City Saturdays began in January 2017 and has established itself as a volunteer/community project for everyone. The Kaz Kids continued with new support for hosting the lunches that are part of the volunteer days that the students perform. A bronze plaque was provided by Stamp Connection as a permanent fixture at the entrance of Ebetsu Plaza. A new irrigation line was installed to provide water to the Resource Center landscape and supply water to the greenhouse. An new document was established between the City of Gresham and GESCA for the use and longevity for Tsuru Island. The first and last open house as part of the “Spirit of Christmas” at the Resource Center, a nice day to visit with ourselves. Garden volunteers as part of the GESCA delegation went to Japan for the 40th anniversary of the friendship of the two cities. 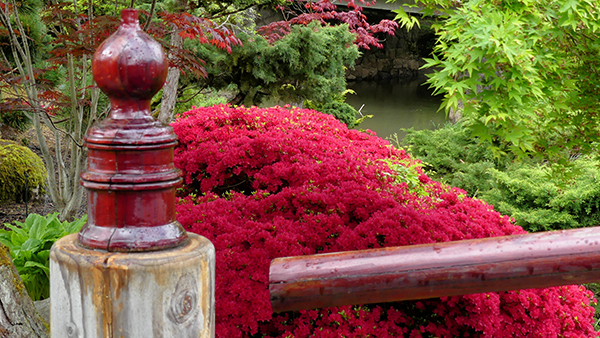 The Gresham Japanese Garden hosted the Friday morning Chamber of Commerce event for the Rotary Club of Gresham. The “interactive garden” project by Bill Peterson continued for the website allowing a special game to be designed for the Kaz Kids. The redesign of the ocean area of the garden was completed with a donation from J Frank Schmidt Nursery. Quality football shirts for sale athttp://www.ourvipss.co.uk, cheap football shirts discound football kits with kids and adults size. HOW do the football gods deliver cheap football shirts things like this? Manchester City, the bastions of beautiful football in the Premier League cheap football shirts this season, have the potential to win the competition cheap replica football shirts against Manchester United in a local derby between No.1 and No.2. The extraordinary timing is as symbolic cheap football shirts as it is theatrical, especially as Guardiola’s City, now on 81 points, chase Jose Mourinho’s Chelsea record haul of 95 points in 2004-2005 with eight games to play. WE’RE getting closer and closer to football’s pinnacle france world cup shirts 2018 event — the 2018 World Cup. While we made do with international friendlies England world cup shirts 2018 and squad selection debates, there’s another way to get excited for the tournament in Russia.That’s because kits are being launched thick and fast for the 32 participating countries. Adidas will be the predominant kit supplier England world cup shirts 2018 | for this event, with 12 of the 32 nations wearing the German mega-brand. As expected, Nike are not far behind, with 10 — including the Socceroos — sporting the swoosh. There’s also a couple of countries Brazil world cup shirts 2018 | in New Balance, Umbro and portugal world cup shirts 2018Puma, while Errea, Hummel, Romai and Uhlsport with have a presence. Here’s your Ultimate Guide to Belgium world cup shirts 2018 | 2018 World Cup kits! Leo Messi was the lone face for Argentina’s World Cup kit launch, with Argentina world cup shirts 2018 | Adidas taking inspiration from the South American giant’s 1993 Copa America shirt. That tournament was the last time Argentina lifted international silverware, with the 2018 edition hoping to end Spain world cup shirts 2018 | some hoodoos for those involved. This strip has the traditional blue and white stripes, with black shorts. 10 Trees in 10 Parks for 10 Years!